Japanese Knotweed is posing threats to UK homeowners, business owners and public services providers. The invasive plant has corrupted development sites, caused mortgage lenders to re-think their willingness to make loans on properties infected and is causing municipalities to increase spending in order to protect water and sewer lines. In short, Japanese Knotweed is posing social and economic problems wherever it is; a fact lawmakers continue to address. In the UK, lawmakers have implemented new legislation in efforts to control the spread of knotweed. Presently, the UK Government is experimenting with possible solutions but public laws relative to Japanese Knotweed are in place and the citizenry is required to comply. There are two primary laws in place to regulate the spread of Japanese Knotweed. The Environmental Protection Act of 1990 is the principal knotweed legislation that has been supplemented by a series if new regulations. The Wildlife and Countryside Act is another piece of legislation that controls the disposal of Japanese Knotweed. The private and public sector are both required to comply with these statutes. In the 1990 Environmental Protection Act (EPA), Japanese Knotweed is identified as a controlled substance. This act sets forth certain terms that regulate how Japanese Knotweed can be disposed. The act stipulates that Japanese Knotweed can only be disposed of at landfills that are licensed to handle contaminated soil. The individual or organisation that has collected the knotweed is responsible for identifying a licensed landfill and transporting the knotweed to the licensed handler. The duty of care for persons who produce, import, dispose of or treat controlled waste is detailed in Article 34 of the EPA. Article 34 was added to the EPA in 1991 and states that soil containing rhizome, like Japanese Knotweed, should be regarded as contaminated and handled according to EPA standards. Article 34 clearly states that when contaminated soil is moved from the site, it must be covered by waste transfer notes. In these notes, the waste must be described. When transported to a licensed landfill, the transfer notes must be signed by the shipping and receiving parties. The shipping party must be specific enough in the soil description that the landfill handlers know what they are dealing with and how to dispose of it. The handling and transport provisions are described in detail article 34 also known as the Environmental Protection Act (Duty of Care) 1991. Under Section 33 of the EPA, “It is an offence to deposit, treat, keep or dispose of controlled waste without a license.” The exceptions to this protocol are detailed under the Waste Management Licensing Regulations 1994. Clarification of the policy is offered under the Environment Agency Code of Practice 2006. This law deals with the Enforcement and Prosecution Policy and states that the failure to have a management license or permit when trying to eradicate Japanese Knotweed on site is not an offence to be prosecuted. This provision allows developers, business owners or homeowners to treat the knotweed without a license. The use of pesticides to control the spread of Japanese Knotweed is explained in the Control of Pesticides Regulations 1986. Under this law, persons who use pesticides are obligated to take all reasonable precautions to protect the creatures, plants and persons who might come in contact with the pesticides. This act also describes the terms regulating the application of pesticides deployed to treat Japanese Knotweed. If pesticides are used in the proximity of water, the Environmental Agency just approve the use in advance of the application. 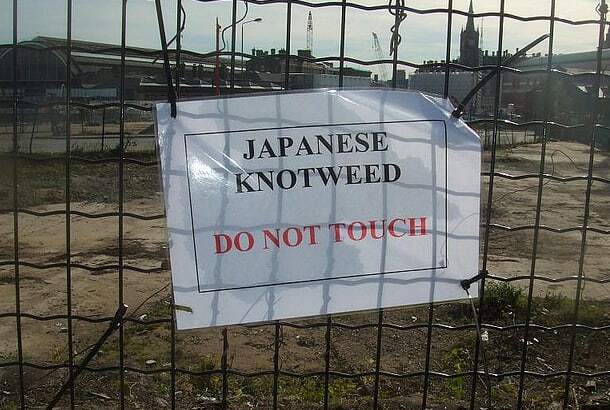 It is also an offence to allow knotweed to spread from your property to another. In the event this occurs, the property owner who allowed the knotweed to expand onto another property can be held responsible and subject to third party litigation of civil prosecution. Under Environmental Agency Code of Practice 2006, not treating and disposing of the invasive plant in a legal, responsible manner can be interpreted to be a violation of the law. The bottom line is that in the UK it is illegal to not take responsible actions to eradicate the plant if it is on your commercial or residential property. For information about how you can safely and legally tackle your Japanese Knotweed problems, get in touch with TP Knotweed today. 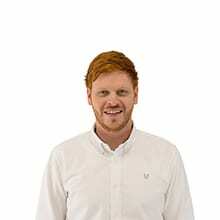 You can call 0800 389 1911 or contact us online.